Having purged my refrigerator of fresh ingredients at lunchtime, I turned to previously prepared foods for dinner. I had rice and beans left over from last week’s chicken fajitas that needed using plus a bunch of peppers and onions that Jonathan had sliced up beautifully for our sausage and polenta on Sunday. 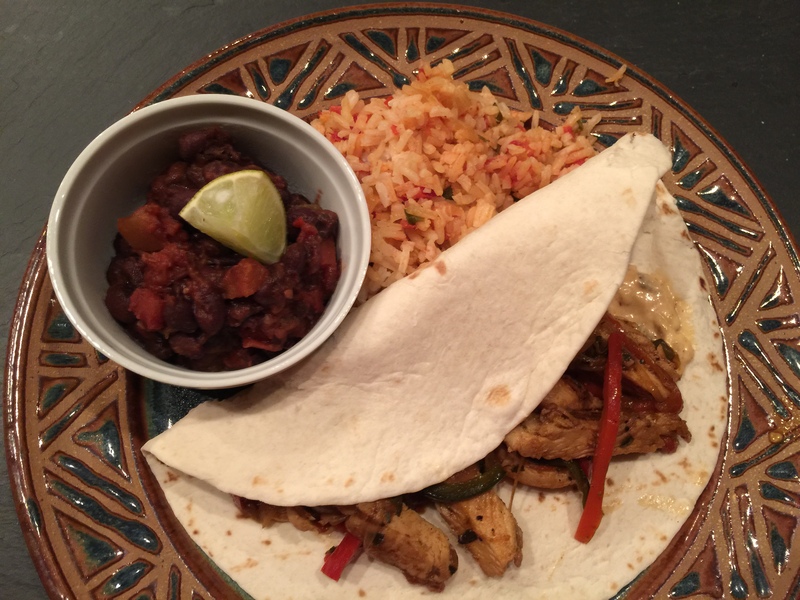 Add to this some cooked chicken strips from Costco with a packet of fajita mix we didn’t use and three remaining tortillas and, ta-da, dinner! This entry was posted in leftovers, Legumes, Poultry, rice, Vegetables and tagged bell pepper, black beans, chicken, chicken fajitas, rice, Vegetables. Bookmark the permalink.